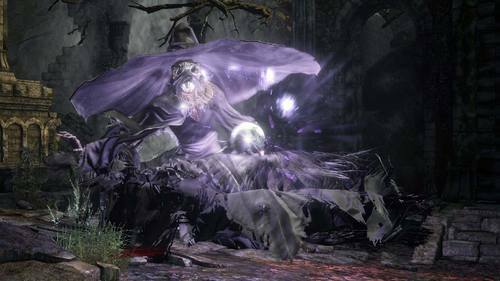 The Crystal Sages once served as spiritual guides to the scholars of the Grand Archives and one went on to ally with the Undead Legion of Farron. So, at some point, there was break in relations between the scholars of the Grand Archives and the heretic sorcerers allied with Farron. The scholars were nevertheless followers of the Crystal Sage, though, and can thus trace their lineage back to Big Hat Logan, the famous sorcerer who studied the dangerous insights of Seath the Scaleless. Logan's fateful meeting with Seath led to a branch of sorcery that has been carried on by the Crystal Sages. So, the scholars also carried on the work of Seath. 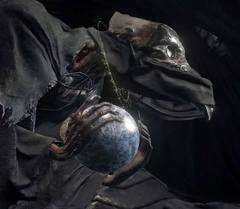 The cursed hands that emerge from the books in the archives are reminiscent of Big Hat Logan turning hollow by reading from the books in Seath's archives. The Crystal Sage is a derivative of Big Hat Logan. Both Logan and the Crystal Sage favor Crystal Sorceries; Logan sought them and eventually went Hollow because of them, but as evidenced by the wares he sells the player near the end of his questline, he did learn Crystal Sorceries and was able to cast them. Another point of note is the Crystal Sage's appearance. A large "wizard's hat," very similar to Logan's, obscures much of its face. Flowing robes hide most of its body, and as displayed in the Crystal Sage boss fight, it is more than capable of casting very advanced Crystal Sorceries, not unlike Logan himself. 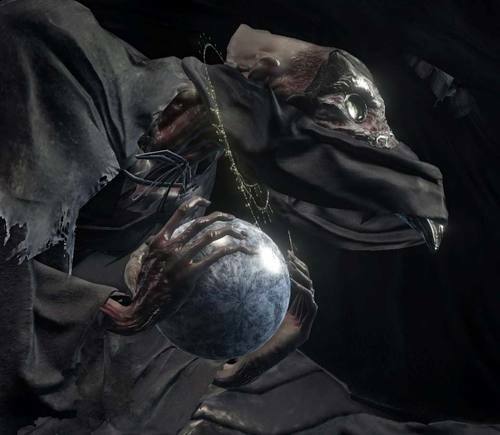 As many themes from Dark Souls 1 are reiterated (albeit modified slightly) in Dark Souls 3, it is possible that the Crystal Sage is some Hollowed derivative of Big Hat Logan. Soul of a Crystal Sage. One of the twisted souls, steeped in strength. Use to acquire numerous souls, or transpose to extract its true strength. The twin Crystal Sages once served as spiritual guides to the scholars of the Grand Archives, and one went on to ally with the Undead Legion. Unique sorcery developed by extraordinary preacher twins known as the Crystal Sages. Casts a cascade of small crystal soulmasses from above. Crystal soulmasses have piercing qualities. In a pact said to have been formed long ago, one of the Sages allied with the Undead Legion in order to train the sorcerers of Farron. Thrusting sword with tiny crystals scattered across its blade, used by the crystal sages for self-defense. The crystals boost the magic damage inflicted by the sword, and the item discovery of its wielder, fruits of the lifetime of research conducted by the sages. Scroll containing sorceries of the Crystal Sages. Give to a sorcerer to learn sorceries of the Sages. As any sorcerer knows, sorcery is a talent, and these sorceries were refined to nurture a very special talent. A ring given to Farron's Undead Legion by one of the preacher twins, known more commonly as the Crystal Sages. The sorcers of Farron's Abyss Watchers were known to be lonesome warriors who would only rely upon more pragmatic spells. Give to the blacksmith in the shrine to allow the use of gems for crystal, blessed, and dark infusion.